Home > Plants > Aroids > Philodendron McDowelli aroid plant or pastazanum?? This is a large, bare root cutting. I have been informed that this may be Philo pastazanum as they are almost identical. Offering is for the smooth stemed one. These are cut from our in the ground landscape here in West Palm Beach and are a nice front growth cutting. We originally collected these in Ecuador in the 70's . 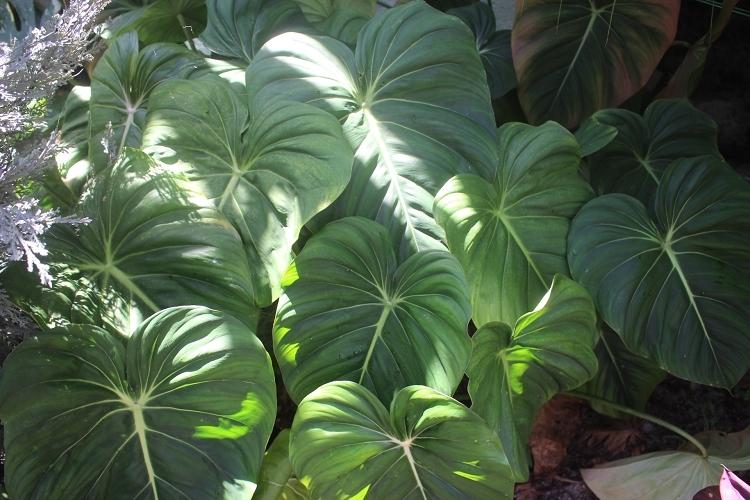 These require very little care here in South Florida and is a very tropical looking plant greatly under used here. I have been looking everywhere for this and finally found it .I didn't read the description thoroughly and was surprised to receive a bare root cutting; however after discussing this with a friendly rep at the company, I realized that I could just cut the leaves off that didn't make it and the plant would produce new shoots. I am happy with my purchase and customer service is great!